In the cover feature article of the journal, Science, researchers at the University of Illinois at Urbana-Champaign describe a unique process for geometrically transforming two dimensional (2D) micro/nanostructures into extended 3D layouts by exploiting mechanics principles similar to those found in children’s ‘pop-up’ books. 3D microstructures of device-grade silicon formed using concepts similar to those in children's 'pop-up' books. The images correspond to colorized scanning electron micrographs. The silicon has a thickness of 2 microns. Complex, 3D micro/nanostructures are ubiquitous in biology, where they provide essential functions in even the most basic forms of life. 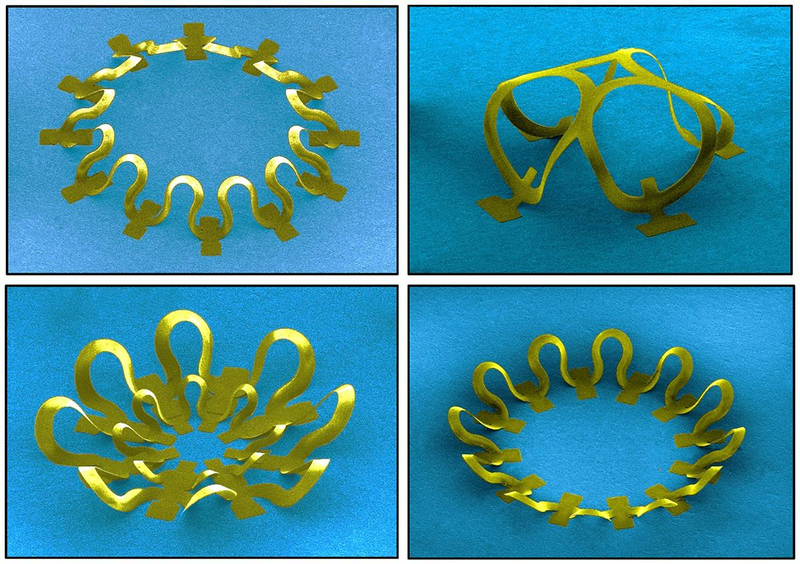 Similar design strategies have great potential for use in a wide variety of man-made systems, from biomedical devices to microelectromechanical components, photonics and optoelectronics, metamaterials, electronics, energy storage, and more. 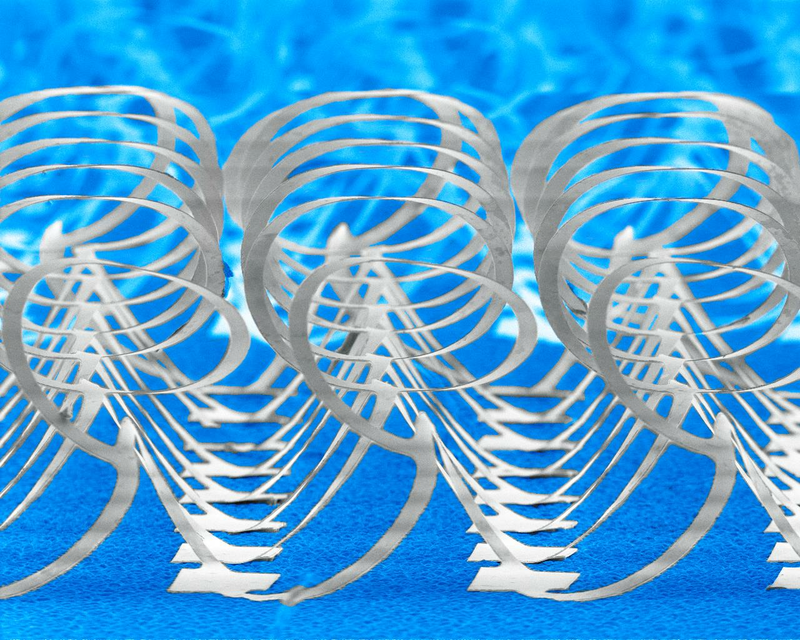 Researchers noted that existing methods for forming 3D structures are either highly constrained in the classes of materials that can be used, or in the types of geometries that can be achieved. Potential applications range from battery anodes, to solar cells, to 3D electronic circuits and biomedical devices. These motions follow precisely the predictions of 3D computational models of the mechanics. These models, in turn, serve as rapid, inverse design tools for realizing a wide range of desired shapes. Compatibility with the most advanced materials (e.g. monocrystalline inorganics), fabrication methods (e.g. photolithography) and processing techniques (e.g. etching, deposition) from the semiconductor and photonics industries suggest many possibilities for achieving sophisticated classes of 3D electronic, optoelectronic, and electromagnetic devices. “This work establishes the concepts and a framework of understanding. We’re now exploiting these ideas in the construction of high performance electronic scaffolds for actively guiding and monitoring growth of tissue cultures, and networks for 3D electronic systems that can bend and shape themselves to the organs of the human body. We’re very enthusiastic about the possibilities.” Rogers added. Rogers is the director of the Frederick Seitz Materials Research Laboratory and an affiliate of the Beckman Institute for Advanced Science and Technology at Illinois. He also holds affiliate appointments in the departments of bioengineering, chemistry, electrical and computer engineering, and mechanical science and engineering. With his research teams, Rogers has pioneered flexible, stretchable electronics, creating pliable products such as cameras with curved retinas, medical monitors in the form of temporary tattoos, a soft sock that can wrap an arrhythmic heart in electronic sensors, and LED strips thin enough to be implanted directly into the brain to illuminate neural pathways. His work in photovoltaics serves as the basis for commercial modules that hold the current world record in conversion efficiency. This research was supported by the U.S. Department of Energy Office of Science. In addition to Xu, Yan, and Rogers, co-authors of the paper, “Assembly of micro/nanomaterials into complex, three-dimensional architectures by compressive buckling,” include Yan, Kyungin Jang, Wen Huang, Haoran Fu, Jeonghyun Kim, Zijun Wei, Matthew Flavin, Joselle McCracken, Renhan Wang, Adina Badea, Yuhao Liu,1 Dongqing Xiao, Guoyan Zhou, Jungwoo Lee, Ha Uk Chung, Huanyu Cheng, Wen Ren, Anthony Banks, Xiuling Li, Ungyu Paik, Ralph G. Nuzzo, and Yonggang Huang and Yihui Zhang (Northwestern University). Additional images and videos demonstrating the process are available. 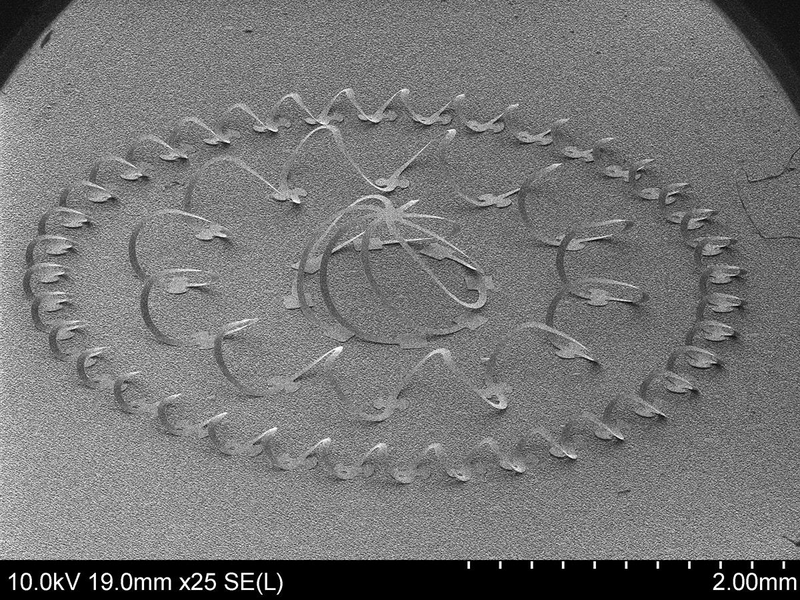 Contact: John A. Rogers, Frederick Seitz Materials Research Laboratory, 217/244-4979.